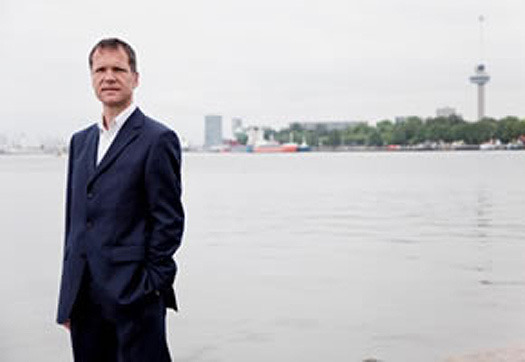 ROTTERDAM (NL) – It is scarcely a year ago that Paul Smits left telecommunications company KPN to become Chief Financial Officer at the Port of Rotterdam Authority. 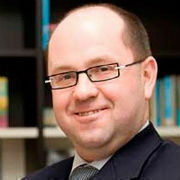 Last week, he put his signature to a € 250 million credit facility from the European Investment Bank EIB. How are you finding things in Rotterdam? Fantastic. In no other job have I had so much contact with the other people involved, from the business sector right up to the government. The nice thing is that, generally speaking, we have a positive image. That’s something we must cherish and something in which we invest a lot. What is the Port Authority’s rating, in financial terms? We don’t have one because we don’t issue bonds. If we did, we’d currently have a single A rating. Due to our massive level of investment. At the moment, we spend more money than we get in; our cash flow is negative. Sounds worrying, but it isn’t. It involves ratios like the development of the relationship between our debt position and the long-term profit forecast and solvency. They are very sound. Why do you prefer to borrow from the EIB? Because financing long-term infrastructure projects is their core activity. They are virtually the only ones who lend money for up to 30 years. Commercial banks loan on average for 8 years. Also, EIB is the cheapest thanks to the combination of conditions and duration. Actually, we also have a credit facility for financing investments with a consortium of ABN-Amro, Rabo and ING, and one with the Bank Nederlandse Gemeenten, but we haven’t drawn on those yet. Most of the total credit is earmarked for Phase 1 of Maasvlakte 2, which is estimated at €1.9 billion. Up to now, it is well within budget. So well that we haven’t needed the other facilities as yet. It remains to be seen if the whole project will ultimately turn out cheaper. We have already successfully withstood a lot of risks, such as the construction of the hard seawall and the rail connection, but a couple of other risks are on the horizon, such as the closure of the seawall on 11 July. I’m sure that’ll go well though. What does the Maasvlakte 2 project actually yield, if you look at it purely as a business case? That fluctuates from year to year. When we started in 2008, it was just on the positive side and, despite the crisis in Europe, that could still be the case. Actually, that only has an effect of a few tenths of a per cent over the duration of the project. We are continually modifying our throughput forecasts, which doesn’t mean these are worthless. Fortunately, we have a very versatile port. Liquid bulk accounts for about half of the turnover, containers for 30% and the other sectors for 20%. These will never all go belly up at the same time. Compare that with Hamburg, which is 80% dependent on containers. Talking about risks, the EIB surely had some questions to ask about the € 900 million ECT is claiming due to the alleged distortion of competition. Certainly, and we took that very seriously. We showed them what claims ECT is making and why we believe that the allegations are completely unfounded.